Today Wednesday [October 30, 2013] the Code's reforms, passed by the Senate and ratified yesterday by the Chamber of Deputies, will be published in the Official Journal of the Federation. The second message reports: "This Thursday, the reform will enter into force, and I will pardon Alberto Patishtán Gómez." These messages were sent out after a meeting lasting several hours between President Peña Nieto and justices of the Supreme Court of Justice of the Nation. 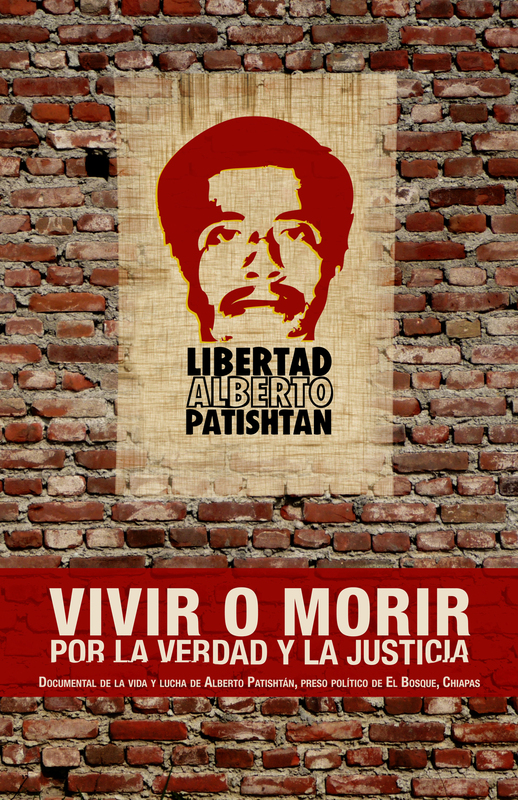 At the same time, the Committee for the Liberation of Patishtán expressed its confidence that tomorrow Patishtán will be released, and it considered the move as a breakthrough, although "much remains to be done to repair the damage." Neftali Granados, a member of the Committee, stated: "It should be clear that it is society's voice that has insisted on Patishtán's innocence. The State erred in sentencing him in violation of his human rights." The changes approved to the Federal Criminal Code grant the President the power to pardon those convicted whose rights have been violated during judicial proceedings, provided they do not pose a "threat to public peace and security." On October 2, several senators proposed amendments to the Code so the President, on his own initiative, at the request of the chambers of the Congress or of the Supreme Court of Justice of the Nation, may grant clemency for any federal offence ... when there are strong indications that the accused did not have access to adequate defence, when serious violations of due process are confirmed, or when the evidence is sufficient to prove the innocence of the person accused. Nevertheless, the various bodies of the Judiciary of the Federation rejected all evidence and refused to reverse the judge's original decision. The Tzotzil teacher was sentenced to 60 years in prison for participating in the killing of seven policemen, an event that took place on June 12, 2000, on a stretch of the Simojovel-El Bosque highway near the community of Las Limas in Chiapas. Among the irregularities in the judicial process is the fact of the undue influence on the Public Prosecutor's investigations exerted by El Bosque's Mayor, whose son was one of two survivors of the attack in June 2000, and who apparently identified Alberto Patishtán as a participant in the events. Yesterday during a full session of the Chamber of Deputies, an amendment to the Federal Criminal Code was unanimously approved, with 422 votes. The amendment includes Article 97a so that, at the request of one of the two chambers of Congress or by his own decision, the President of the Republic can grant a pardon to a person when there are strong indications of serious violations of the convicted person's human rights, a measure that, lawmakers stressed, directly seeks to benefit the teacher Alberto Patishtán Gómez. Meanwhile, lawmakers from other factions argued that the reform not only reflects civil society's concerns with the lack of fairness in the criminal proceedings against Patishtán Gómez but seeks to correct the lack of fairness that prevails in the judiciary system. "Of these 8,000, there are cases that stand out for obvious violations of due process; unfortunately, it is a routine practice throughout the Mexican State," he said. PAN Deputy Jesús Aquino Calvo argued that the reform represents "the opportunity to do justice on behalf of a person who has demonstrated his innocence before all authority." Ricardo Monreal, MC coordinator, noted that although it is not the best way to secure the release of Patishtán Gómez, based on the Executive's constitutional power to grant clemency, definitely an injustice is being corrected. MC Deputies José Francisco Coronato and PRD Deputies Catarino Duarte and Rosendo Medina expressed their doubts about the reform's legality. Coronato said he voted in favour of the measure "for humanity, but it is a legal aberration. What is appropriate is to reclaim Patishtán's innocence." Earlier, in the previous discussion of the Justice Committee, PRD Deputy Fernando Zárate declared that the senators were wrong with the reform, and he stated that "the glutton is known by how he grabs the taco." In the plenary session, PRD Deputy Roberto López argued that in order to benefit other indigenous prisoners, it is preferable to promote an amnesty law, but the urgent need now is to secure Patishtán's release, "unjustly imprisoned for many years, only because justice has not arrived in Chiapas." Panal [New Alliance Party] Deputy Fernando Bribiesca Sahagún noted that the irregularities have been documented, and he asked: "How is it possible to prove that only one person, the teacher Alberto Patishtán, has been guilty of the murder of seven heavily armed police with tactical training?"